Please guide me in providing the CPT code for Dexcom G5 and the reference. 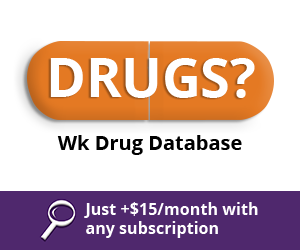 Find-A-Code has a tool that enables you to look this up on the WK Drug Database, the results are as follows. Use modifier KX if the beneficiary is insulin treated; or, Use modifier KS if the beneficiary is non-insulin treated. The KX modifier must not be used for a beneficiary who is not treated with insulin injections. For therapeutic CGM devices (code K0554) and the supply allowance (code K0553) only, the CG modifier must be added to the claim line only if all of the therapeutic CGM coverage criteria (1-6) in the Glucose Monitor Local Coverage Determination are met. If any of the coverage criteria (1-6) for a therapeutic CGM are not met, the CG modifier must not be used. For claims with dates of service from January 12, 2017 through June 30, 2017, a therapeutic CGM must be billed with code E1399 and code A9999 for the supply allowance. Only one (1) month of the supply allowance (one (1) Unit of Service) may be billed to the DME MACs at a time. For claims with dates of service on or after July 1, 2017, a therapeutic CGM must be billed with code K0554 and code K0553 for the supply allowance. Only one (1) month of the supply allowance (one (1) Unit of Service) may be billed to the DME MACs at a time.